30 Greatest Lead Generation Tips, Tricks, and Ideas – FREE Download! Has Your Business's Growth Plateaued? Download Your FREE E-book And Get Your Business Growth Back on Track! Generating leads is a marketer's most important objective, but only 1 in 10 marketers say their lead generation efforts are both efficient and effective. 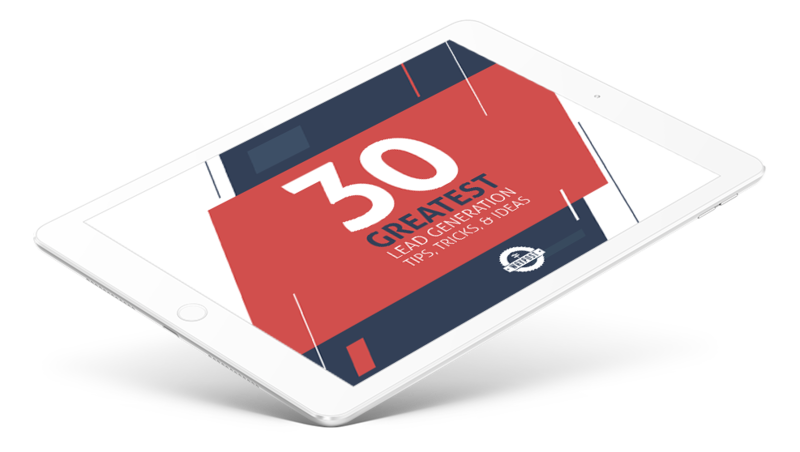 That's why we've compiled the 30 greatest lead generation lessons in this brand new guide. Start reeling in those leads when you check out these proven — yet often overlooked — lead generation strategies! This is your guide to generating more quality leads for your sales team. Get your FREE copy of The 30 Greatest Lead Generation Tips, Tricks, and Ideas now!